I remember I had tried other doctors because I felt awful. I never connected until I met Dr. Cochran and her staff. They always assured me I would get better and everything they said came true in a short amount of time. 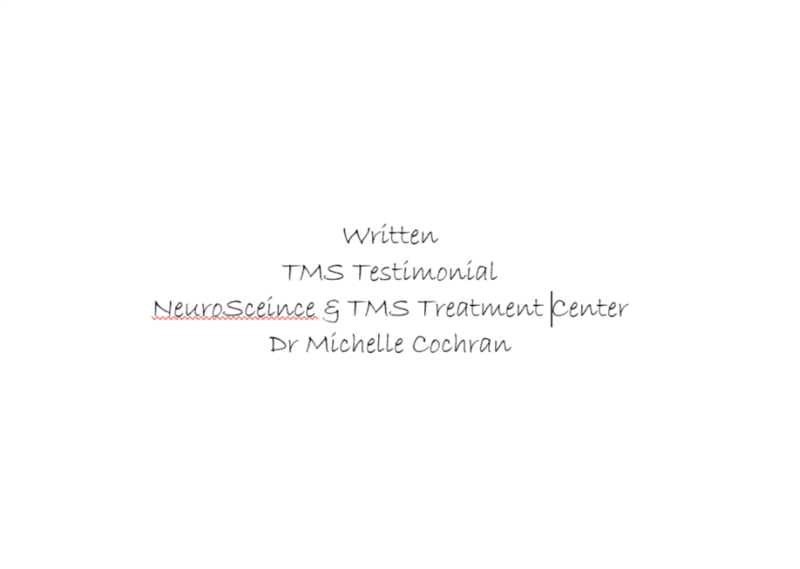 TMS is a wonderful tool along with Dr. Cochran's compassion.